Prepaid Wireless Tracker #123, Sept 2018 - T-Mobile Still Working Hard To Push Sprint Merger! This merger promises pain for prepaid wireless. There are already too many brands with negligible ddifferentiation, and post merger, it wouldn't make sense to maintain all of the dealer relationships to maintain appropriate distribution. There's no doubt T-Mobile is leaning on them to support the deal with un-documented, but inferred threats to take business away. It will be interesting to see how this plays out. Quite honestly, I still don't understand why this merger is even still being considered; it's obviously bad for long term competition. On a side note, if you read the article, you can go ahead and ignore any comments from or about Peter; his comments are meaningless ;-). This is an important article about data breaches. Prepaid wireless accounts used to be all about anonymity, however, that's no longer the case. Our personal information is required to activate an account due to anti-terrorism laws, and many of us take advantage of discount programs that require us to keep credit card information on file for auto replenishment. Let this be a reminder to lock your credit reports (see my content on Identify Theft), and get educated and savvy. By simply increasing your awareness, and taking some easy steps to protect yourself, you'll save yourself from long term headaches! I've always liked T-Mobile's strategy of enhancing the value of its service by adding new features and non-wireless related bundling, rather than simply competing on the lowest common denominator, price. Here T-Mobile is offering all of its customers 12 months of ad-free unlimited music from Pandora, and no credit card is required to enroll. It is also offering concert perks from Live Nation. Smartphones have really become an tool to access a vast ecosystem of services, so this kind of bundling is a great way to add value for customers. I look forward to all carriers getting aggressive with this kind of strategy. Approximately a year following its launch, Verizon is terminating its $1/month Inner Circle program. We always knew this was a promotional program for iPhones only, and could end at any time. At this point the marketing around Virgin's new program is all but dead, so offering a deal of this nature is unnecessary. For those who took advantage of it, that's fantastic. For those who didn't, Virgin still has relatively competitive prepaid plans from which to choose. Losing access to the Verizon network so suddenly is definitely not good news. If pricing negotiations failed, you'd expect a wind-down period with some advanced customer notification. However, a shutdown with no notice usually speaks to some kind of breach or major issue where the two came to blows. Even if Verizon wanted to discontinue its partnership in order to push its own prepaid brands, I would have expected its contract with Rok to require some kind of notice. Of course, very few people will ever know what really happened. Rok does operate on other networks, however, as I noted from the outset, while I appreciate the efforts of these small MVNOs, ultimately they're ultimately bound to die, whether quickly or slowly by a thousands cuts. They simply can't compete, and offer little to no real value proposition over larger carriers. 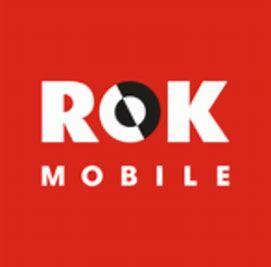 Recall that Rok's initial strategy was its streaming music service. Clearly that evaporated, and it adopted Rok Life Services, which is a myriad of non-wireless related services and rewards. When your company is named in the spirit of a music service and that disappears, you know you're heading for trouble. Anyway, we'll see how long it takes for it to shut down completely.